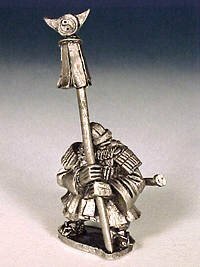 Discuss Miniatures on the Colonel Marbles Froth Forum! 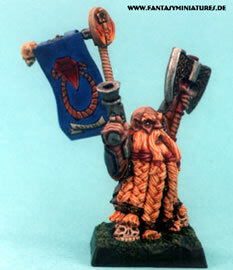 Welcome to Colonel Marbles Dwarf army showcase. 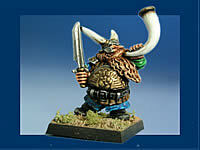 The aim here is to present some of the superb non-GW figures available to bolster your forces. 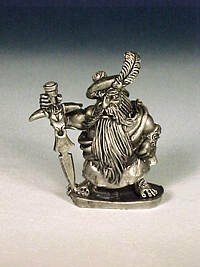 Remember, Marbles has no association with any manufacturer or company of any kind, he's just a raging miniatures - frother who wants to spread the news of great mini's around the world ! 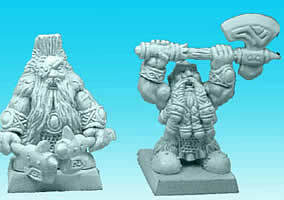 Shown below are two amazing new Dwarf character figures from I-Kore's 'Celtos' line. 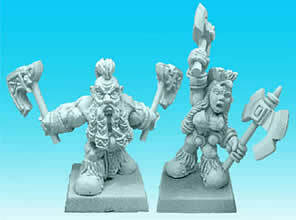 Surely neither of these great figures would disgrace your Dwarf army ?! 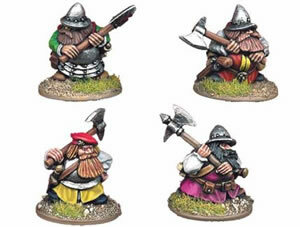 Yep, they are nice characters, but for rank & file figs at a very reasonable price, check out these 'Dark Age Dwarves' from 'Vendel' Miniatures - fantastic !! They really capture what I feel Tolkien's 'Naugrim' would have looked like. 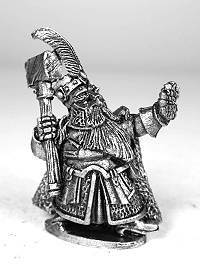 Vendel also now have some 'fyrdsmen' to act as dome rare lightly armoured dwarves... good for adding much needed flexibility to your dwarf army (even if they do end up looking like a stunted peasant militia). 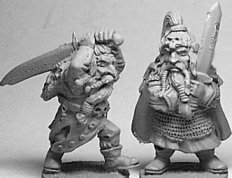 Norse and Dwarf just seem to go well together... if you're in need of an ally you could check out the many Norse on the market, in frother White Knight's Norse Showcase. 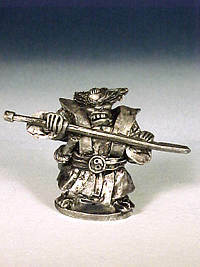 Remember historical minis are often much cheaper than fantasy figs, even ones with less metal in them like dwarves! Some people are never quite on message though- gawd bless em! 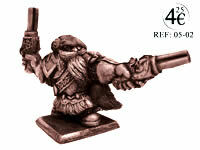 For a much different slant why not take a look at Foundry's decidedly Renaissance looking Dwarves..? Mm, very nice! 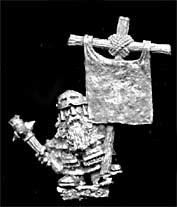 Icon Miniatures, now Black Tree Design do some great rank & file figures at a good price - they are not so nicely sculpted as Vendels unfortunately but they won't let you down !! 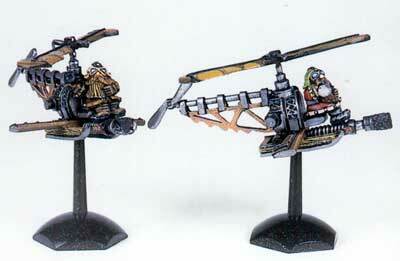 They also do Ornithopters and loads of Cannons, Stone Throwers etc. Nice Regiment sets are also available. 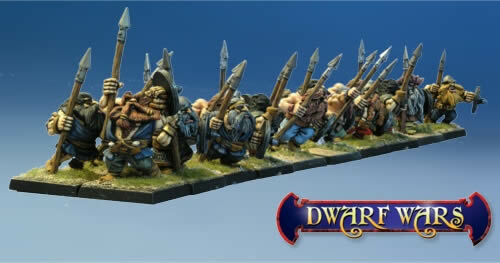 Check out the pics below & see if they could reinforce your army! 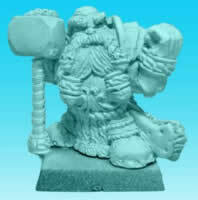 Grenadier Miniatures are now sadly defunct, as are the Italian company called 'Nemo' who took over their production- but never fear, old Grenadier man Doug Cowie has reacquired the production rights and will begin knocking out these super dwarf minis soon at em-4 Miniatures! 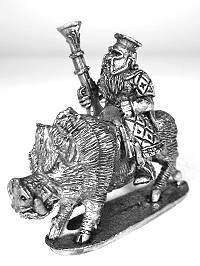 They have some very nice Dwarves, including some cool Bear Riders. 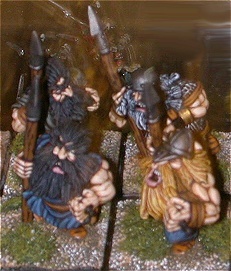 (Apologies for the small/blurry pictures, only ones I could find - but they are nice figs in the flesh/metal :o) ). 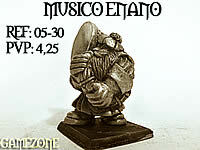 Spanish company Gamezone have a very wide range of dwarves on their website, with plenty of eccentric characters as well as tasty rank and file fighters. The beserkers ("Juramentado", known in some parts as 'slayers' of various types) are well worth a look. 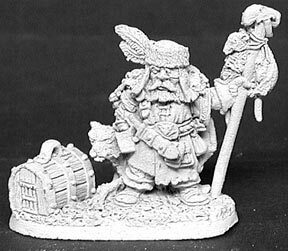 They aren't at all geared-up for international distribution, and the characters aren't cheap, but if you are a dwarf general you do need to see these figures. We will keep you posted as to their availability outside of Iberia, meantime look them up under "Enanos" on the website and make a list. 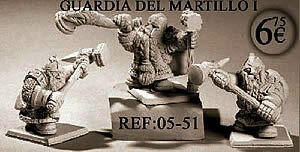 Theres more spanish dwarf fun from Mars Ultor, who have some very handsome dwarfs on their books (also listed under Enanos of course). 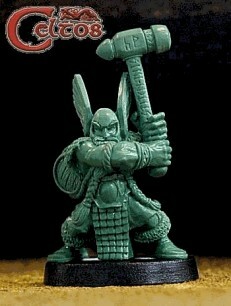 Some handy gunners here, craggy old heroes (great for unit leaders) plus some great beserkers (male and female). 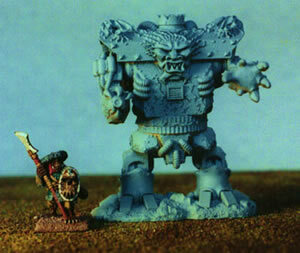 There is also a cool 'Metal Golem' to stomp through enemy ranks. 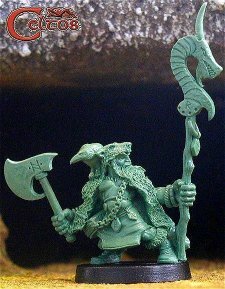 Grendel Miniatures' 'Leviathon' game never got the attention it deserved, but fortunately you can still get there excellent resin models on-line. 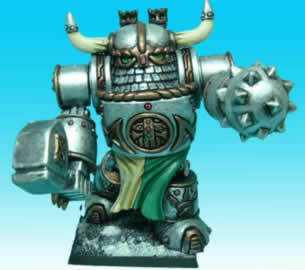 They do tremendous Dwarf War Engines & more 'Iron Golems' with which to crush your enemy ! 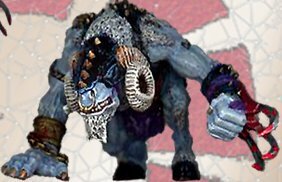 Chronopia's background has a strangely sinister set of dwarf clans, with names like Blood Bone and Dark Tusk. If you are looking for some very heavily armoured and intimidating short-legs you should cast an eye over their extensive range. One problem is that although there is a wide variety of types, there are not too many variants of each, though you could mix and match weapons or clans from the range. Some fearsome personalities to be had here too. 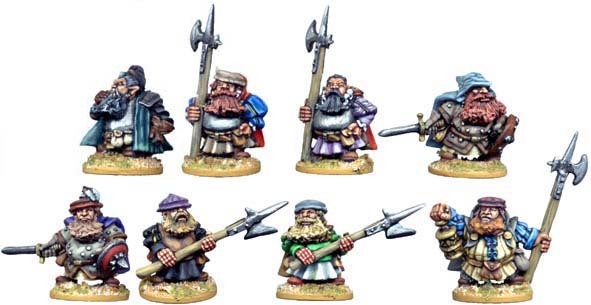 Below is a nice box set of Dwarfs from German manufacturer ' Armalion ' (or that maybe the name of the game - languages was never a strong point). 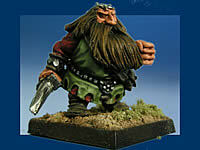 Below is a box set from Reaper miniatures, a nice dwarf cannon ! Talking of characters, what about this from Heresy Miniatures?? Theres even a choice of heads! 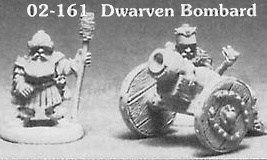 Here are some more excellent war engines this time from Ral Partha (it's a dodgy scan from an old catalogue - Ral Partha pics are still deadly hard to get hold of!). 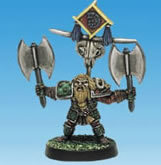 West Wind's Dwarf Wars range of course contains a good spread of stunted warriors, available in regiments of 24 for 24GBP, not bad plus you can save money on the starter packs too (containing two regiments and a command blister for 44GBP). You get plenty of variety in these packs, with apparently only the bow regiment (actually crossbows) featuring a double of every figure (still a fairly decent ratio for a regiment pack). 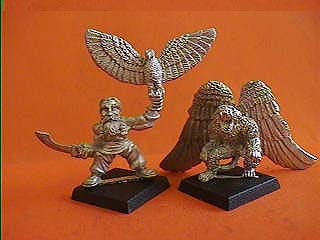 These are very nice figs with plenty of character about them, but they are also plenty big- reports put them at 25-28mm, so check them out before investing! The quality of the character blisters is bizarrely somewhere below that of the rank and file. 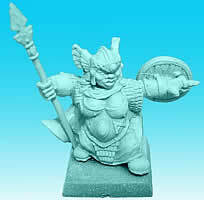 There are some nice figures here too though, plus some unusual ones that can fill some gaps in your army list. 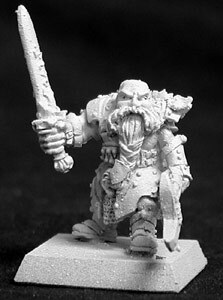 Dwarf assasin anyone? Dwarf nun?!? The Mounted Company (10 for 24UKP) only shows 4 variants on the WW website, with all horses apparently identical, so you might have more of a "doubles" issue here. 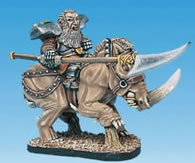 Rare dwarf horses. 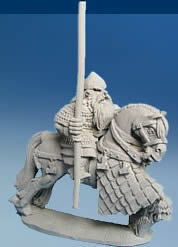 Remember the West Wind figures can also be had in the USA from Old Glory Miniatures. 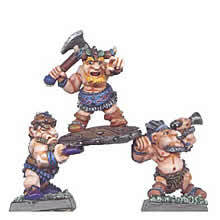 Heartbreaker miniatures are now sadly defunct (why doesn't some enterprising soul pick up their moulds and reissue them?) 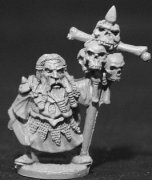 but they made some cracking figures in their time & you can still find 'em lying around in dusty shop corners here and there.... try Orcs Nest if u r ever in London). 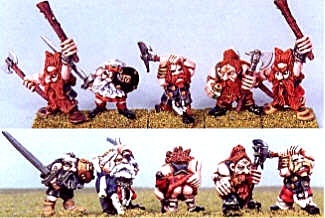 Here's the only two dwarf images I could find ( kudos again W.K. ), but they made many more. 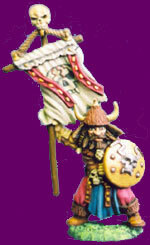 Also, Alternative Armies have a few Dwarves. Not bad, not great. 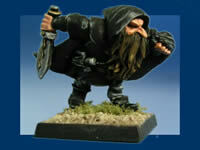 Bob Olley is now producing a range of dwarves, in his unmistakable style. 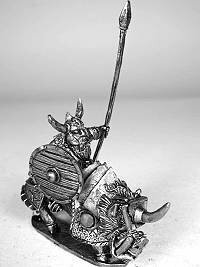 Fantastic stuff, catch them at Olley's Armies. 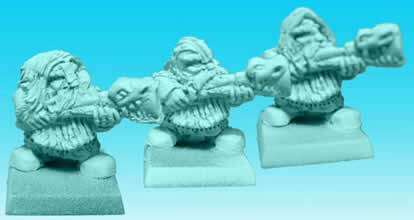 If you can't get enough of Olley, how about these old dwarves, thankfully re-released by Metal Magic? 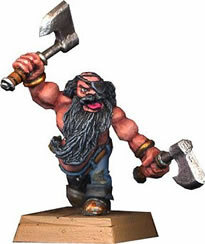 Finally in the 'up and coming' section we are keeping an eye out for threatened dwarf ranges from Renegade, who have been concentrating on their Orc ranges to date. 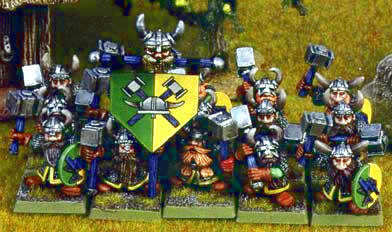 OK hopefully the above has given you some ideas of how to add to your Dwarf Army. 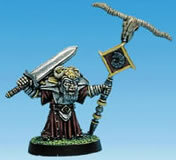 Let Colonel Marbles now if there are any other mini's that you think he should be featuring !! 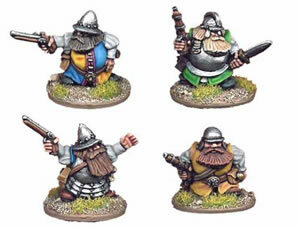 Note I have not included French Coy Rackham's dwarves cos they are frankly massive in scale to all the other manufacturers ranges ( a great shame).